The annual chore of raking leaves can be a surprisingly good workout. The amount of exertion required for raking leaves is about the same as what one would find in a good-paced walk. Just one hour of raking leaves can burn anywhere from 250 to 400 calories, based on the weight of the individual and their level of physical fitness. Read on to learn more about how to gain the most benefit from this refreshing form of exercise. Should you warm up your muscles before going out to rake leaves? Yes! Raking leaves is a vigorous enough form of activity, typically done in chilly temperatures, that warming up your muscles beforehand is a good idea. Do some gentle stretches before going out, including shoulder and arm stretches, stretching the hamstring muscles in the back of your legs, and march or walk in place for a few minutes to get blood and joint fluids flowing through all your joints and nearby tissues. Be sure to wear good supportive shoes that can help you maneuver on potentially uneven terrain and wear clothing that allows you a full range of motion for your legs and arms. Although it might be tempting to choose the biggest rake you have with the idea that the bigger the rake, the less time it will take to get the job done, consider how heavy and bulky that rake will feel after a few minutes. You might be better off selecting a smaller, more manageable rake especially if you are not used to physical exercise. Be aware of your surroundings and use caution if you need to walk on uneven ground. Try to periodically switch sides rather than raking your entire yard with one dominant arm. Raking leaves requires one to look down at the ground almost exclusively, so if you tend to hold tension in your neck muscles, give them periodic breaks and look up, in addition to turning your head from side to side. Be aware of your posture and readjust it as necessary, focusing on tucking in your abdominal muscles, in order to provide proper support for your lower back. If you get tired, take a break! 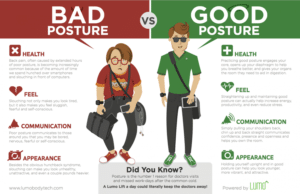 There is no easier way to fall into bad postural habits, such as slouching or bending over, than by not resting when you need to. Lastly, keep yourself well-hydrated. Remember that raking leaves is as vigorous as a good-paced walk. If you plan to be out in your yard for several hours or more, then hydrate as much as if you went for a walk for several hours. If an individual remembers to wear good shoes, practices good postural habits while raking, take breaks as needed, after which they only need to rake their leaves to the street, they should be able to complete their task without incident. For those who must bag their leaves, it’s often another story. Bagging leaves typically require significant bending and stooping, not to mention transporting potentially heavy bags of leaves from one point to another. Especially for those with any kind of spinal issue, it is important to be smart about getting the job done, rather than focusing on completing the task in the shortest amount of time. 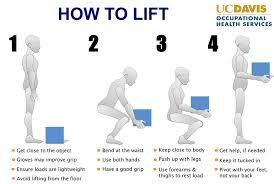 Think about how you can accomplish what you need to do with a minimum of bending, lifting and stooping. Consider using a wheelbarrow to transport leaves from point to another. Even a full wheelbarrow of leaves is lightweight as compared to carrying a heavy bag of leaves. Don’t overfill leaf bags with the hope it might shorten the length of the overall task. If a bag still seems heavy, try dragging it rather than lifting and carrying it, to get it to its final destination. If you do have to lift anything, practice good lifting techniques. That means squatting down and lifting with the power coming from your legs, rather than bending over and lifting by using your lower back muscles. If you would like more information on how to properly warm up and stretch before tackling your outdoor leaf raking project, please email Cawley Therapy and Rehab at: cawleyptfrank@gmail.com or call us at 570-208-2787.